Seattle is a city of rich history, individualized culture and a promising future. The people are friendly, the food is good, and the views are even better! Known for its "Sleepless" movie stars and striking Space Needle, Seattle, Washington has gained a reputation of stability and independence, offering abundant lifestyles for its residents and visitors. 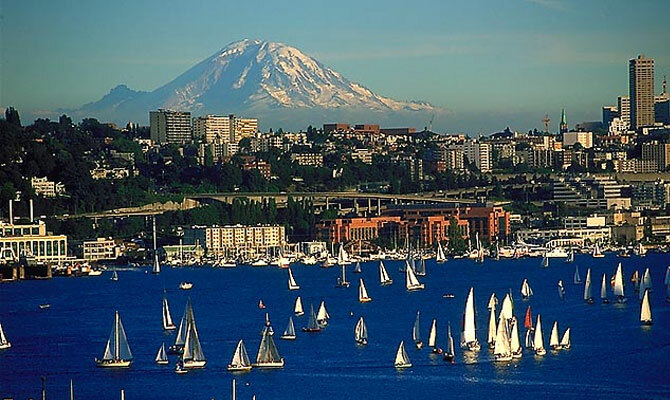 With a booming financial industry, mild climate and stunning panoramic views, Seattle is truly a dream city for residents or visitors looking for the feel of the big city, but the closeness of nature. 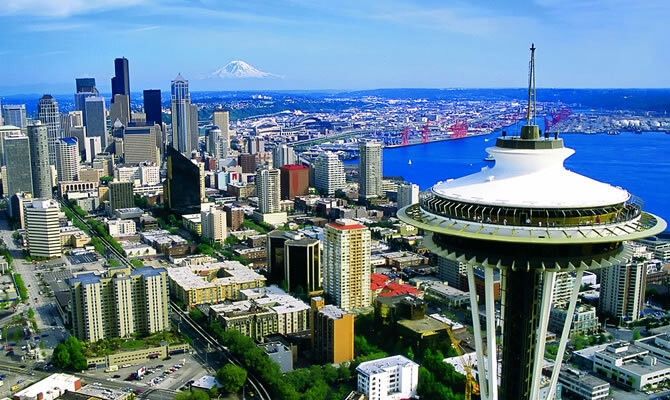 Seattle, like many major metroplex areas, is filled with various districts and neighborhoods, each peppered with individuality and culture that only Seattle natives can offer. 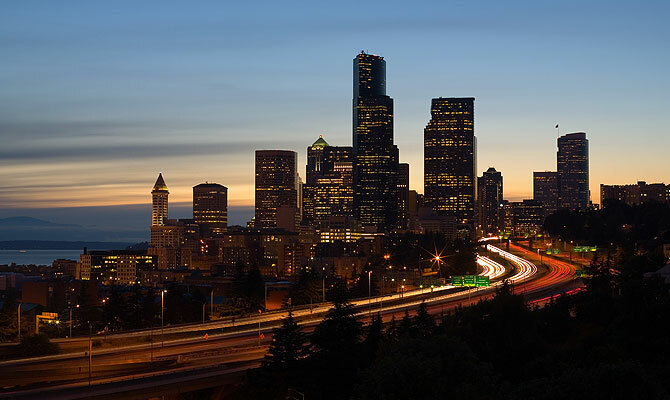 Though it may have a big city approach, the city of Seattle has been called by many people the "city of neighborhoods," due to its massive annexation of small towns surrounding it at the turn of the twentieth century. For those that are visiting the Seattle, Washington area, there are cultural events in the city to suit any taste. For the musically inclined, the Seattle Symphony Orchestra makes regular performances, along with the Seattle Opera and a local nationally known ballet as well. The city's passion for music and performing arts has spurred the occurrence of recurring musical festivals and theatre shows hosted in one of the city's multiple theatrical facilities. For the outdoors type, Seattle boasts five major sports teams in the fields of hockey, football, baseball, basketball, and soccer. There are also numerous parks and recreational facilities in the city, offering jogging trails and other outdoor activities. 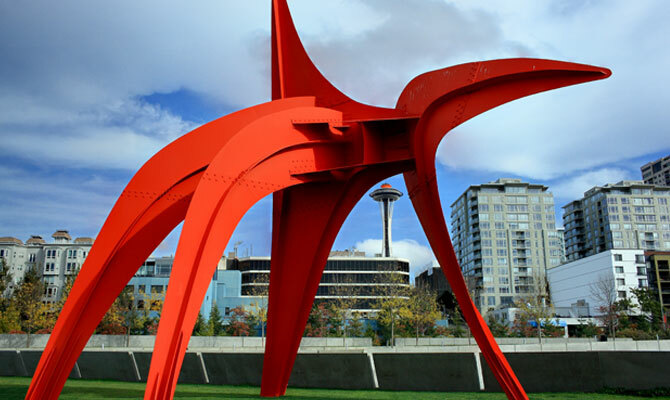 Seattle contains multiple art galleries, including the Seattle Art Museum and the Henry Art Gallery. Both are over seventy years old and offer extensive collections of art in a variety of genres. Multiple museums are scattered throughout the city, including the exciting Museum of Flight. A film festival is hosted each year in Seattle as well, drawing international attention and a striking media presence in the city. Some major companies are located in Seattle's financial district, including Nintendo, Amazon and Nordstrom. 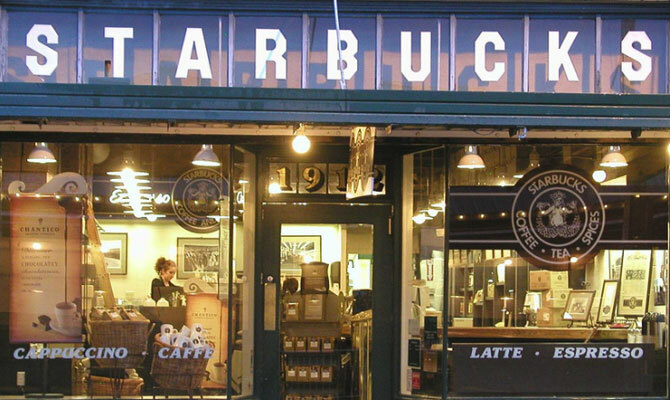 Perhaps the most famous of them all, Starbucks Coffee was founded and headquartered in Seattle, and is still grinding coffee beans in its original store location. It's famous Pike Place Coffee is named after the very neighborhood in which the original store stands. The famous Pike Place Market is an eclectic gathering of various shops that sell locally grown fruits, vegetables, fish, flowers and homemade goods amidst street performers and musicians. The cobblestoned streets lend themselves to an era of time that is forgotten in much of today's busy lifestyle. The most famous Seattle landmark, the Space Needle, rises 525 feet into the Seattle skyline, providing a full 360 degree view of the city. A rotating restaurant sits atop the Space Needle and offers fine dining in a unique atmosphere, home to thousands of marriage proposals and romantic dates. Those not wishing to dine in the restaurant may instead visit the observation deck for a nominal fee, and have access to telescopes for optimal city viewing. 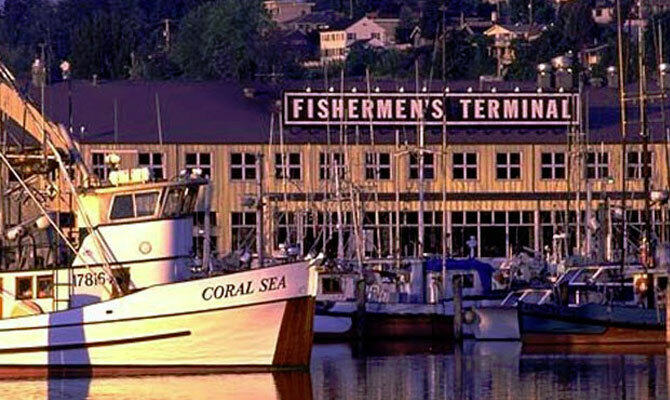 Seattle is home to the Fisherman's Terminal, which oversees the coming and going of hundreds of fishing ships each day. Visitors can experience a thriving fishing industry in Seattle that is responsible for supplying much of seafood industry with its inventory. Thousands of fish and crabs are brought to shore daily, making the local fresh seafood markets and restaurants some of the best in the country. The Belltown area of Seattle offers hip nightlife with a variety of bars and nightclubs for an active lifestyle. There are plenty of restaurants to try out and the overall vibe of the area is hip, trendy and chic. Some stylish boutique style shops line the vicinity and offer some great shopping in all price ranges. The Ballard neighborhood is an older area of Seattle, but is filled with picturesque mountainous views, cute cafes and original shops that cater to the trendy crowd. The Queen Anne area of the city is an affluent community of people who prefer some privacy among the company of rather wealthy residents. Old architecture and beautiful skyline views make this a preferred residential area. For families with children, the Wallingford area of the city is popular to live in due to its parks and recreational activities available in the area. For the offbeat side of Seattle, there is the Fremont neighborhood. This frisky area is known for its nudists, parades and parties that advertise odd interests and personality. The neighborhood has a public motto proudly exclaiming its peculiarity. Neighborhood locals enjoy a variety of cuisine and locally made beers. Contact us today so we can meet your short-term lease or rental needs!